In an age where skill sets can become obsolete in just a few years, many workers are scrambling just to stay current. How can organizations encourage continuous learning, improve individual mobility, and foster a growth mind-set in every employee, year after year? Offering employees a rewarding career used to be easy: You’d hire a bright young person out of college, plug him into an entry-level role, and then watch him climb the corporate ladder over the years as he progressed toward retirement. The company could plan for this continuous process—hire people based on their degrees, help them develop slowly and steadily, and expect some to become leaders, some to become specialists, and some to plateau. But hold on. The world of careers doesn’t have to be so difficult and unforgiving. Organizations can adapt their career strategies and help people learn faster and continue to stay engaged. It just takes a rethinking of the problem, and a need to be aware of how jobs, careers, and skills are rapidly changing. A career represents our expertise, our profession, and ultimately our identity. It defines who we are and what we do. This form of self-identity makes changing careers dauntingly difficult: What if we switch careers and fail? Then who are we? A career is something that builds over time and endures. It gives us the opportunity to progress, advance, and continuously feel proud. When we are asked to change our career or path, what happens to all we have learned? Do we throw it all away? Or can we carry it forward? A career gives us financial and psychological rewards. It makes life meaningful, gives us purpose, and pays us enough to live well. What happens if our career suddenly becomes less valuable, even if we still enjoy it? Should we continue to make less money or jump to a new path? The changing world of work has disrupted all three elements: expertise, duration, and rewards. And as scary as this may be for employees trying to stay ahead, it’s equally disruptive for employers who must try to hire and develop the workforce of today, tomorrow, and five years from now. It used to be that only certain types of jobs—think of computer programmers and IT troubleshooters—needed constant training and upskilling. Now, all of us are expected to continuously learn new skills, new tools, and new systems. Just as COBOL programmers had to learn C++ and Java, administrative assistants have switched from typewriters and dictation machines to PCs and voice memos, assembly-line workers have had to learn to operate robots, and designers have moved from sketchpads and clay models to touchscreens and 3D printing. Today even experts find themselves disrupted. Few professions today are hotter than that of a software engineer . . . and yet many foresee automation taking over the work of coding in the near future.9 Artificial intelligence is doing the rote work of lawyers,10 simplifying the work of doctors,11 and changing skilled jobs from truck driver to financial analyst. As we describe later, it’s important for each one of us to learn new tools, adapt our skills, and become more multidisciplinary in our expertise. What this means to employers is simple: Your employees are constantly feeling a need to “keep up.” Millennials, for example, rate “learning and development opportunities” as the number-one driver of a “good job.”12 Managers should give people time, opportunity, and coaching to progress; if you don’t, people often just look elsewhere. Remember the 30-year “lifelong career” that companies promoted during the last century? Well, today only 19 percent of companies still have traditional functional career models.13 Why have so many organizations let multi-decade career models fade away? Similar stories can be told in automobile, manufacturing, financial services, retail, hospitality, and many other industries. In 1970, the 25 biggest American corporations employed the equivalent of over 10 percent of the private labor force.15 Today, many of the largest US employers by number are retailers,16 and the retail industry alone accounts for more than 10 percent of US employment.17 In the current economic recovery, the fastest-growing segment of work has been health care, including small and large hospitals, eldercare providers, and various types of personal-care work.18 However excellent these employers might be, their primary workforce is mid-level labor—service and delivery roles that neither pay as well nor offer the long-term “career professional” advancement that large companies once routinely offered. This has created opportunities for some workers but has left others behind their parents at the same age. One study found that workers who entered the labor force in the 1980s and 1990s were more than twice as likely to stay in low-wage, dead-end jobs over the next decade compared with similar employees who joined the workforce in the late 1960s and early 1970s (at the high point of the corporate economy).19 Part of the reason: Big corporations have outsourced many specialized (and highly paid tasks), which can make it harder to “move up” in socioeconomic status. Governments, anticipating a flood of retirement benefit payouts, are responding by looking to push back workers’ standard retirement age.23 And indeed, with unions in decline and much more rapid job mobility, fewer workers—even in labor-intensive roles—are able to retire after 30 years, forcing people to work longer.24 This means that young people should expect careers spanning half a century or longer; schools and employers should help prepare and guide people through working lives in which they learn, work, learn, work, and cycle through career stages many times. One way to think about careers today is to consider yourself a surfer: We catch a good wave early in our life; as it crests and falls, we need to look for the next wave. 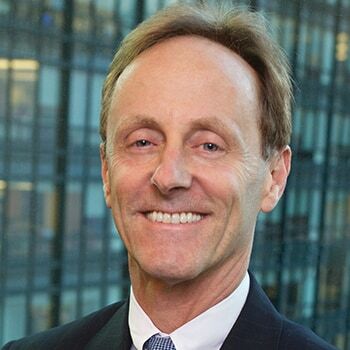 Bersin by Deloitte’s research and an examination of data from labor market analytics firm Burning Glass Technologies26 confirm that while many technical skills are in high demand, they decay in value as more people acquire proficiency in those skills. Graphic designers, for example, are far less valuable than when the Internet was invented: Experts can still earn a good living, but organizations need many fewer experts, since in a sense we have all become designers. In certain emerging fields, of course, expertise is in high demand, driving commensurate rewards. Organizations need technical people proficient in Hadoop and other big data solutions, for example, as well as experts in hot fields such as cybersecurity. And they pay top dollar for skilled people in these areas. But over the coming years, as the supply of expertise in these areas grows, the fields themselves shift in unforeseen ways (Hadoop experts become experts in other technologies, for example). The experts, then, must look to “surf” to the next wave, unless they’re content to settle for steadily declining financial returns. I suggest that each of us should think about our career as a series of waves from post-education to pre-retirement: We’ll catch a wave and ride it until it crests, and then, as it calms on the beach, we paddle out and catch the next one. In each new wave, we gain new skills and new experiences, retraining and educating ourselves along the way. While many companies have outsourced specialized tasks over the years, big companies still need myriad technical and professional talent. Our research with Burning Glass shows that skills in math, statistics, project management, and logical thinking are now prerequisites for most positions (even those in marketing, finance, and HR). The problem, again: Such technical expertise may soon be outsourced, automated, or commoditized by youth, giving way to new technical roles of which no one has yet dreamed. Already, thousands of people are working as “robotic trainers,”27 analyzing what self-driving cars do and working to make them smarter; it’s a good bet they’ll be doing something different a decade from now. Today, anyone who wants a shot at a well-compensated position should consider developing skills in math, statistics, and logical thinking; comfort with data is increasingly essential. It’s safe to say that anyone who lacks a basic understanding of science, technology, engineering, and math—the STEM fields—will likely find limited career options. Managers, mentors, and HR teams should realize this shift and make training and remedial education available to everyone in the company. That said, STEM no longer tells the whole story of skills in the 21st century. Tasks based on math, science, and engineering are vulnerable to automation, so they should be complemented with soft skills and other strengths as well. In the 1800s, machinists and metalworkers were the computer scientists of today; as automated manufacturing grew and more powerful machines were invented, these “metal-bending” careers often turned into careers developing, operating, and fixing machines. If you learned how to be a draftsman in the 1970s, you likely watched your profession taken over by computer-aided-design software in the 1980s and 1990s. And if you’re up to date on statistics and math, you may increasingly find yourself stretching to do programming, analysis, and interpretation of data, since software programs do many of the computations. While the core need for technical skills remains strong, another theme has entered the job market: the need for people with skills in communication, interpretation, design, and synthetic thinking. In a way, we can think of these as the arts, hence the evolution of education from STEM to STEAM. What does it mean to add arts to STEM? It isn’t as simple as taking a few courses in art history or reading Chaucer. The jobs of the future, driven by the increasing use of technology taking over rote tasks, require social skills complementing more technical abilities. Think about the job of a salesperson, bank teller, nurse or caregiver, or business leader—all in-demand jobs that draw upon empathy, social skills, communication, and synthetic thinking. When an angry bank customer strides up to a teller window, an AI program lacks the tools to sense the best way to assess and defuse the situation, but a well-trained, empathetic teller can—and that’s what makes her invaluable to the bank. Consider figure 1, developed by Harvard researcher David Deming,28 showing that some of the best jobs in the future—those in green—are those that draw upon both technical and social skills. Yes, developers can program computers to take on rote and information-based tasks, but machines are not yet much good at listening, empathizing, communicating, and convincing. Will you still hire me tomorrow? Brains over brawn: In absolute terms, knowledge of specialist STEM subjects is 40 percent more important than the physical abilities of strength, endurance, flexibility, or the ability to manipulate objects. Social and cognitive skills: A 10 percent increase in cognitive abilities contributes to a 12 percent increase in median hourly earnings. STEM and STEAM continue to grow: By 2039, math and science knowledge is expected to increase in importance by 8 percent, leading to approximately 4.5 million new STEM-enabled jobs to be created globally, including engineers, scientists, IT and digital professionals, economists, statisticians, and teachers. This study, one of the largest of its kind, maps skills into various categories across all the “new jobs” and “retiring jobs” to identify what we call the “essential skills” for the future. As this research suggests, skills in communication, critical thinking, visual identity, and reasoning will likely become even more important in the future. For job seekers or career surfers, it is a reminder that relationship, communication, and thinking skills are critical. The research I’ve done (including talking with academics, economists, and hiring managers) indicates that wage increases are primarily going to two types of jobs. First, as one might expect, are the hot “technical roles” where skills are (currently) scarce. Second, however, are what we might call “hybrid jobs”—jobs that create whole new job categories by mashing up disciplines.30 These “renaissance jobs” are those that combine technical expertise (in one or more domains) with expertise in design, project management, or client and customer interaction. They might be titled “experience architect” or “IoT engineer” or “user experience designer” or “security consultant,” and they typically involve knowledge of a technical domain, problem-solving capability, project management, and often industry expertise. Organizations are driving a huge increase in demand for analytic roles. Jobs called “data scientist” or “analyst” are growing rapidly, with the overall number of data science and analytics jobs expected to reach 2.7 million annual postings by 2020. These jobs are growing in all industries and all developed economies, with particularly high growth in the United Kingdom, Canada, and Australia. These jobs are not simply degreed positions—they are jobs that combine math, statistics, critical thinking, and industry expertise, not just skills in data management. Data scientists with industry expertise and experience, for example, command almost 50 percent higher pay than those with pure technical skills. These new positions are creating what Burning Glass calls a “new genome” for jobs, combining skills from previous roles into a new role. Whether called “data analysts” or “digital marketing managers” or “HR and people analytics leaders,” they combine technical skills with domain and systems expertise in the chosen domain. These roles now require new types of soft skills. Figure 2 shows the types of expertise for which employers are looking in data analysis positions: research skills, writing skills, and problem-solving skills, along with teamwork and creativity. These are rarely developed through coursework in math or statistics—they’re more likely to emerge from a background in English, history, art, or business. Hence the shift from STEM to STEAM. I remember all too well the early days of the spreadsheet (Multiplan, then Lotus 1-2-3, then Excel) and the fears that these tools would make financial analysts obsolete. Something quite different happened: Yes, analysts had to learn these tools in order to survive, but they then became “super analysts” far more valuable to their employers. This effect, the “machine augmentation of work,” can be a positive thing for organizations as well as employees—but only if people take the time to learn how to use the new tools. Since the Industrial Revolution, workers have had to regularly adjust to working with new machines and systems, but the fast-paced information age makes the hybridization of jobs a never-ending process. Salespeople are now expected to use technological tools such as Salesforce and task management systems; they must understand how to negotiate and forecast, and over time they will likely have to learn how to take signals from AI-based tools. (Salesforce’s new product Einstein is designed to smartly recommend whom to call first.32) Managers will likely be increasingly wary of professionals who routinely resist learning new tools until they have no choice. What is the future role of learning? If we accept the fact that people need to continuously learn and reskill, how do we make that happen? Do we encourage everyone to go back to school every few years and earn another degree? Not necessarily. Over the past decade, the training and learning industry has exploded: In 2015 and 2016 alone, investors put more than $1 billion into new “edtech” companies and ventures.33 As technologies such as smartphones, embedded video, and YouTube have put high-fidelity learning at people’s fingertips, the global marketplace for education, professional skills development, and corporate training has grown to over $400 billion. Individuals can go online to knowledge-sharing sites such as Udemy, courseware sites such as LinkedIn Learning, or technical education sites such as Pluralsight, Skillsoft, and General Assembly, and find low-cost courses, lessons, and expert education. All of these changes have made L&D a vital part of companies’ employment brand and employee experience, and we urge executives to invest in this area. Indeed, innovative companies such as GE, Visa, and IBM are building internal massive open online courses (MOOCs) and entire networks of internally developed content, enabling employees to shop for any training they need, including peer-authored material.35 Since L&D has become the fastest-growing segment of the HR technology market,36 we can expect many companies to replace and upgrade their internal learning systems over the next five years. As a career development tool, the availability of consumer and corporate learning is a godsend: From their desktops, employees can attend MOOCs from firms such as Udacity, Coursera, NovoEd, and edX and take courses from academic and professional experts in a wide range of technical, managerial, and personal-skills topics. Increasingly, too, training firms offer program certificates for those completing courses, indicating new competencies. As hard as we may try, nothing can reverse the trends toward longer lifetimes, shorter tenure, and the relentless pressure to master new technologies. But organizations can make it easier by adopting an active program to support people’s reskilling, re-education, and career development. Our research on this topic shows that it has become a top priority: The 2017 Deloitte Global Human Capital Trends report rated L&D the second-biggest issue among business and HR leaders, up from fifth only a year ago, and indicated that 83 percent of companies are re-engineering their career programs. Surfing can be scary even on the sunniest of days; when people’s livelihoods are at stake, career surfing feels treacherous, especially as waves cast workers off their surfboards again and again. How can we help people navigate and thrive in this new world of careers, while keeping our organizations intact? The answer is clear: We as organizational leaders should redesign our companies so they offer diverse and continuous opportunities to develop. We should change our reward systems to encourage people to change roles, build technical expertise, and move horizontally for breadth and experience. Does your company reward people for technical expertise and breadth of experience? Or do you promote only people who move up the corporate pyramid? We should also put resources into coaching, career planning, and career assessment. The old adage that “you manage your own career here” often means people managing themselves right out of the company. Forward-thinking companies today offer career-planning tools, actively post jobs internally, and encourage and support internal hires and transfers. One of our clients, a large Asian energy company, characterized its job model as so rigidly structured that many people cannot get promoted until someone in the leadership dies or quits. Executives told me, laughing, that the best way for employees to get a better job was to “quit and reapply for a different job.”42 But this is no joke: I find this story true in many large organizations today. In short, we have to blow up the traditional career model and work to make it easier for people to take the skills they have and use them in new roles within the organization. No one would suggest that dealing with the career dynamics of the future will be easy, for either employees or employers. It’s important to actively redesign our learning organizations, rethink our job models, create more hybrid roles, and throw away our traditional ideas of the up-or-out approach to success. For companies that handle this well, the payoff can be huge: Our research has found that organizations that define themselves as great places to learn achieve 23 percent greater financial returns, out-innovate their peers, and endure business cycles far better than their contemporaries.43 With the next big wave just appearing on the horizon, we all need to learn more about surfing. The author would like to thank Burning Glass Technologies for contributing to this article. Catch the wave: The 21st-century career has been added to your bookmarks. Catch the wave: The 21st-century career has been removed from your bookmarks.